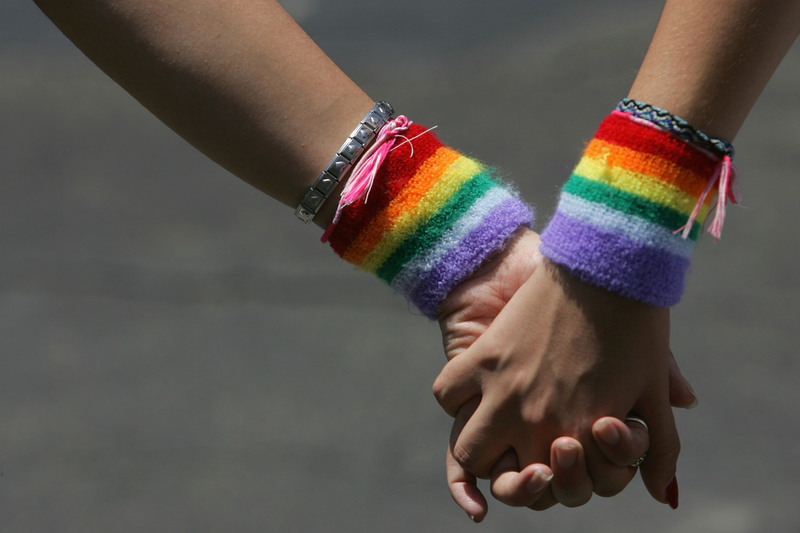 Saturday marks National Coming Out Day 2014, and in honor of the event, hundreds of people all around the United States will share their coming out stories, whether it's in an online forum, in an interview, through an article, or even via Facebook status. Some people actually use this day to come out to friends and family, as one of my oldest friends did. It's a really exciting thing and, for those people who find this to be a useful process, an important day. There are problems with National Coming Out Day, which I could talk about at length, but one of the most obvious ones that no one seems to talk about is that you don't just come out once. Coming out is a continual process. The first time I came out was almost four years ago, and I'm still coming out to this day, to new people I meet and to people I've known for years. It literally never ends. And each time is different. Sometimes, coming out is a piece of cake. When I came out to my best friend, she not only took it like a champ but helped me plot out how I was going to court the girl of my dreams (at the time). She didn't ask me any questions, she didn't interrogate further, and she sure as hell didn't deny it, even though I had never talked about being queer before this moment. This type of coming out situation is what I call the "This is How Everyone Should React." Me: Helen, I...uh...have a crush on Elizabeth from Spanish class. Helen: Yeah, I know babe. So, what are you waiting for? Let's make this happen. Other times, I overdid it when I came out to someone and then was really embarrassed in the wake of it all. This coming out situation should be called "Stop Being So Awkward and Just Say it." Me: Listen. I know we've been talking for a while now and I really am excited we're going to be roommates but there's something you should know about me. I know you've seen my profile pictures and I seem just like a regular, long-haired gal, but I actually, uh, I'm actually pretty gay. I'm gay. I'm a lesbian. Actually, I'm queer identified technically. So, yeah. I have a girlfriend and she'll be around, if that's OK? Can she sleep over? No funny business, obviously, while you're around. I just wanted you to know I'm gay and if you're not cool with that and with living with me I totally get it. Her: Haha, I'm gay too. The first adult I officially came out to was a male family friend who basically raised me as a father would. He is a non-religious white man, so I felt like it would be a safe thing to do and give me an adult figure in my life who I could speak to for advice and perspective. But the unusual thing about this interaction was that I had no freaking idea if he knew I was coming out to him. I like to call this situation the "Are You Even Realizing I'm Coming Out to You Right Now?" Me: So, you know that girl Elizabeth. Me: Yes. She is nice. She's also my girlfriend. Me: No, I don't think you understand. She's like my girlfriend. Him: Mhmm. Got that. Yep. Me: No, like. I am dating her. Like she is my girlfriend. Me: No, like. She kissed me. ON THE MOUTH. I'm not officially out to my mom, but I did think about doing it once. I ended up not doing it because of her response to the statement I made that was going to preempt me coming out to her. I call this the "You Should Have Never Even Brought it Up"
Me: Mom, what would you do if one of your kids were gay? Mom: My kids can't be gay. Because gay people all deserve to be put on an island with no food and water. And then that island should be burned down. And my kids can't possibly be horrible enough to be subject to such conditions, right? And finally, despite the fact that I grew up in a liberal utopia, I definitely still got the people who treated the issue with a lot of ignorance. The boy who had a raging crush on me around the time I came out to him was one of those people. This coming out situation is what I called "You Really Didn't Need To Come Out to This Person Anyway." Me: So, I'm sure you've heard by now that I'm dating Elizabeth. Him: Yeah, when is that phase going to end? Him: I mean, until 24 hours ago you were straight. You're doing this to get attention. I mean, I get being bisexual, but you can't be full-on gay. I've had to come out to a lot more people in my life than just these five. I've had to deal with myriad reactions. People have said some really pleasant things to me, but people have also said some really awful things to me. I truly wish, though, that no one would ever have to say anything to me at all, because while I seek general acceptance I don't really care whether heterosexual people approve or disapprove of me. But, for now, in order to be identified as who I am, I'm going to have to keep doing it.